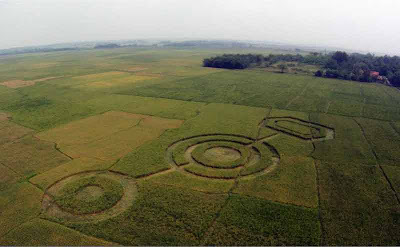 The 4th Indonesian Crop Circle was reported on the 13th of May 2011(possibly discovered much earlier, around the 4th of May), once again in a paddy field somewhere in Sumatera Barat (Cikarang West Java) Indonesia. beautiful, man. i can see the sacred mushroom at the heart of it.